Well if you cannot stand a bloody nose then do not start a war with a determined enemy. I’d be interested to hear of any precedent for this as a war crime, a crime against peace possibly (though that would still be a stretch) but I’m pushed to see how how this can be construed as a war crime except where a political agenda to have it so exists. 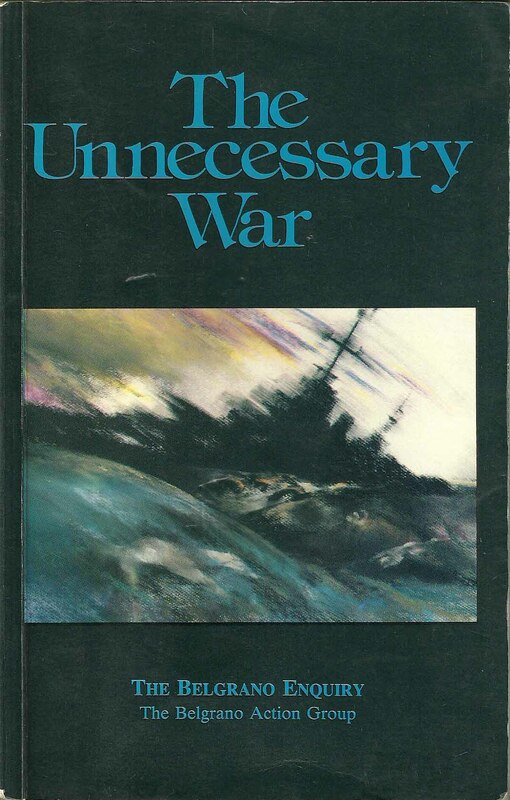 In any other conflict (dabbling in whether a formal declaration was given is counting angels – territory had been militarily violated) active, regular naval units engaging each other wouldn’t be given a second thought. Which brings us back to the exclusion zone, which the Argentine govt were explicitly informed was announced as “not by way of limitation”, as indeed such arrangements traditionally are – Hector Bonzo seems happy enough that he & his hands were a legitimate target, why should we think different? This ‘controversy’ is nothing of the kind, and the ‘Argentine view’ put forward here is not actually the view of any qualified Argentian official. 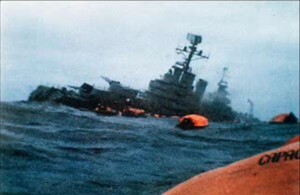 Argentina’s own government, its navy, the admiral commanding the Argentine fleet during the war, and Hector Bonzo, the Belgrano’s commanding officer, ALL concede that the sinking of the Belgrano was a legitimate act of war, a war that began with an unprovoked Argentinian invasion of the Falklands. The mere fact that the Belgrano had turned back after its attack was cancelled is immaterial – it was a powerful warship capable of inflicting severe damage on the British fleet had it been allowed to come within striking distance. As the above post concedes, the ship was on war patrol, and would have sailed back and forth – it was not headed back to port and was not ‘no longer a threat’ since it would have been ordered back on the attack had the opportunity presented itself. The initial attack was not cancelled because of any pacific intent by the Argentines – whose attempted aggression during what we are supposed to believe were genuine attempts to make peace this site totally glosses over – but merely for tactical reasons, and was awaiting a better chance to attack. 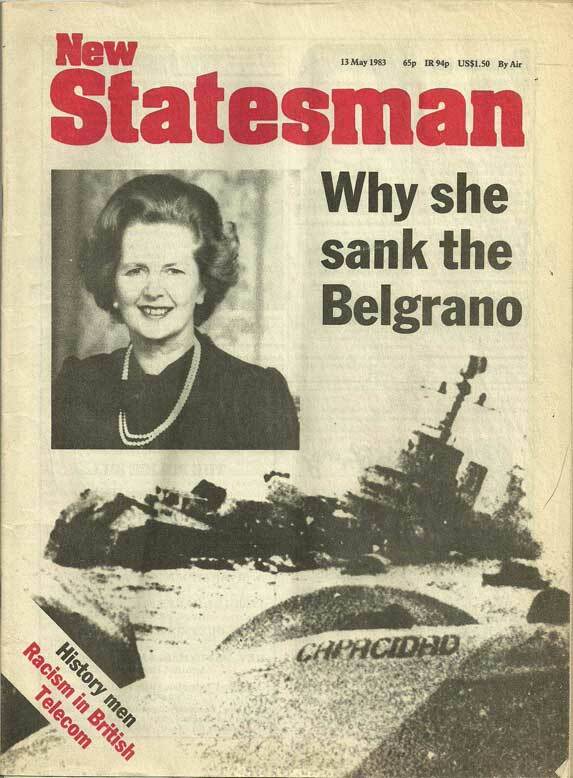 The sinking of the Belgrano remains a ‘controversy’ only to those who have simply been unable to let go of their hatred of the United Kingdom and/or Margaret Thatcher. This website does not offer an ‘alternative view’, instead it attempts to continue a dispute that has already been settled using the statement of a minor city official (the Buenos Aires city ombudsman), a failed law suit (the 1994 case was dismissed in the European courts), and the statement of an analyst who is neither an expert in military, nor history, nor legal affairs. Quite simply, it attempts a fraud on its readers. The illogicallity of this website’s position is easily demonstrated: throughout the conflict Argentine jets flew over the islands, dropped bombs on the British fleet, and then returned to their bases. Also throughout the war the British attempted to shoot them down, preferably on their way in, but also on their way out since they would inevitably return with more bombs if they were allowed to escape. Yet, according to the ‘logic’ applied here, it would have been a war crime and an act of aggression to shoot them down on their return trip despite the fact that they were sent back out on the attack after arriving back at base, because once their attack mission was over, they were, according to this site’s author’s reasoning, no longer a threat. I have no argument with the fact that the sinking of the Belgrano was a terrible thing that should have been avoided – but the best way to have avoided it was by not starting the war in the first place. Whilst the British government of the time, and its predecessors, deserve a small portion of the blame for failing to properly deter an Argentine attack, and for failing to take the threat of war seriously, the decision to invade the islands using military force was made by the Argentine Junta. 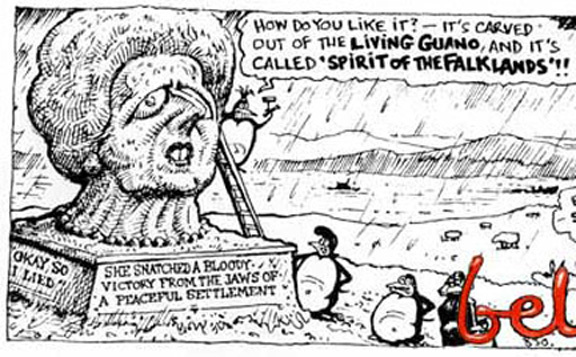 After this decision was made, baring any genuine meaningful offer of peace involving a return to the status quo, which the Junta had ruled out, the lives of any Argentine servicemen serving in the Falklands in a capacity that threatened the British fleet were subject to the fortunes of war. This included the Belgrano and her crew. In attempting to make this sinking primarily the fault of the British government, this website is attempting to perpetrate a despicable fraud on its readers. The authors should be ashamed of themselves. Argentinian jets were legal targets (in their way back home) because they entered the exclusion zone, and bombed or tried to bomb (which they did many times and succesfully), british ships. Belgrano was OUTSIDE the exclusion zone, and going back. With your criteria the british task force could have shelled/bombed continental bases, or Buenos Aires itself because they where potential threats?? Cmon! Your point is as one sided as the one you are pretending to deny. As an ex combat pilot of the argentinian air forceI I tell you this… I find more logic in Andrew’s answer. Alejandro – I see your point, yet the Argentine military plotted an attack on British forces in Gibraltar, did they not? Much as the British also attempted an attack on Rio Gallegos? 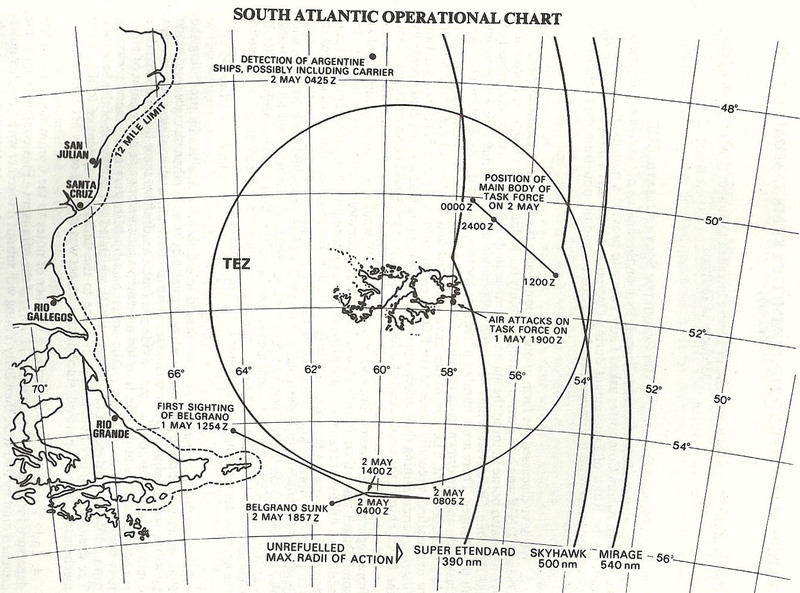 By the point we are talking about, British forces had already fought a battle with Argentine forces in South Georgia – outside the exclusion zone – in which they had depth-charged and captured a submarine (the ARA Santa Fe). The first ship sunk during the war might well have been that submarine – with acompanying loss of life – had it not surrendered first. Personally I think talk of the exclusion zone is somewhat vacuous – by the point we are talking about, action was not, anyway, restricted to inside the exclusion zone. Hector Bonzo said he was well aware of that, as did Admiral Allara. Admiral Molina Pico said that they were preparing an attack. All these men seem well qualified to speak to the matter, so you need not need simply trust me on it.